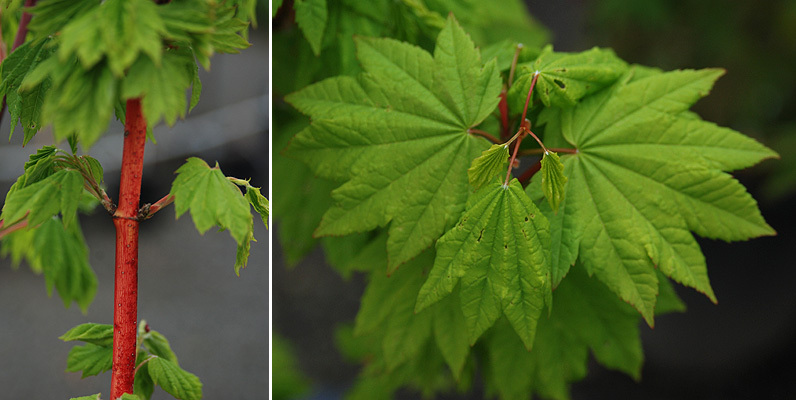 Broadleaf deciduous tree, multitrunked, upright, fast growing to 6 ft (1.8 m) tall and wide. 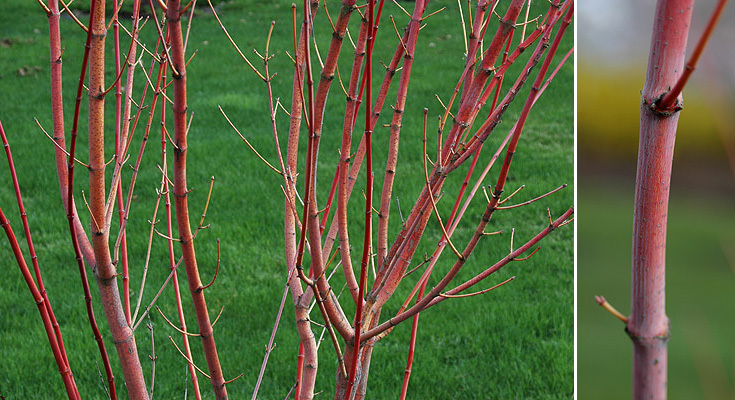 Bright red bark providing year-round color. 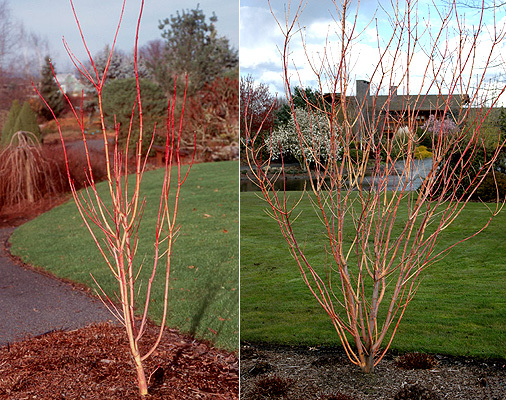 Leaves simple, opposite, light green to chartreuse, may be tinged with red; new growth emerging purple and orange, turn yellow in fall. Full sun to light shade. Water regularly.